Apple has rolled out the iOS 11.3 update which is a major update for iPhone and iPads. The latest update has come about three months after the release of iOS 11.2. The latest iOS update brings new features including ARKit 1.5 with support for more immersive augmented reality experience, iPhone Battery Health, new Animoji for iPhone X users, and much more. Apple has already revealed most of the features of the iOS 11.3 with its beta version which was rolled out last month. The iOS 11.3 update is about 700MB in size that varies depending on the device. It is available via over-the-air (OTA) update and is compatible with iPhone 5s and later, iPad Air and iPad Pro models, iPad 5th generation, iPad mini 2 and later and iPod touch 6th generation. Check out the features of iOS 11.3 here. The update brings ARKit 1.5 to offer even more immersive AR experiences to iPhone users. With the new kit, they can recognize and place virtual objects on vertical surfaces like walls and doors. They can map irregularly shaped surfaces like circular tables for next-generation AR apps, and also adds support for detecting and incorporating images like movie posters. 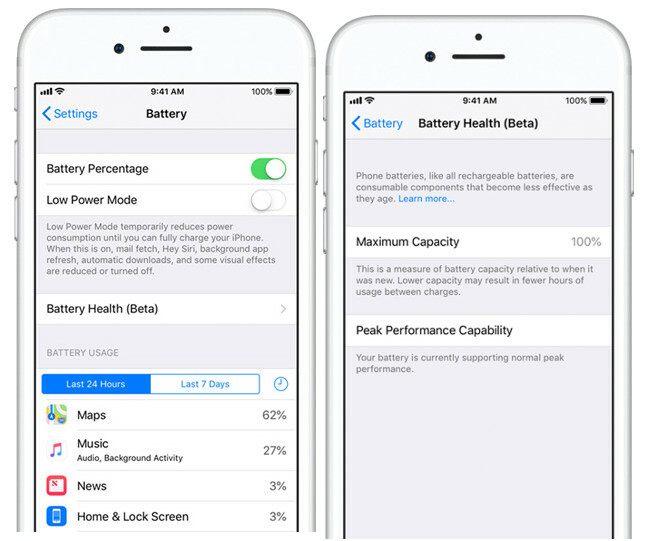 The update brings iPhone Battery Health feature to show battery health and to recommend if the battery needs to be serviced or replaced. This feature is available in Settings -> Battery for iPhone 6 and later. Also, users can also disable Apple’s power management feature as well. It brings new Animoji characters like lion, bear, dragon, and skull for the iPhone X users. The update also brings Business Chat for users to communicate directly with businesses right within Messages, which is launching today in Beta in the US and Canada. It also includes stability improvements and bug fixes. Messages in iCloud and AirPlay 2 that appeared in Beta were removed. Apart from above-mentioned features, this update also includes stability improvements and bug fixes as well. It improves search performance for users with long notes in Contacts, and also improves Updates tab information with app version and file size in App store.